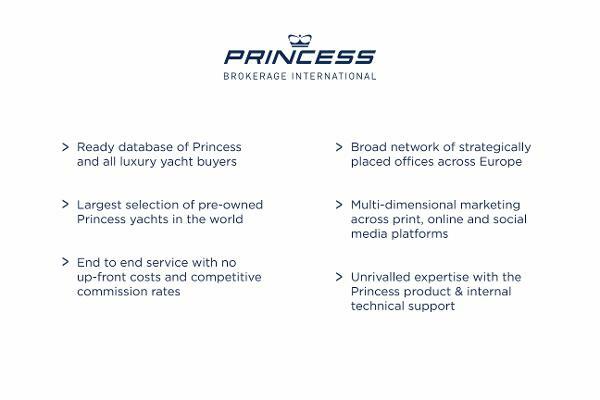 The Princess V40 is the entry level Princess V-Class and is celebrated for her dynamic exterior, performance and exceptional seakeeping. In addition to the modern and sleek design she has port light windows cascading across the length of her deep-V hull, flooding the saloon and cabins with natural light. When entering her spacious cockpit, which creates the perfect aura for comfortable and sociable surroundings, the aft seating is easily converted into a sunbed in seconds! 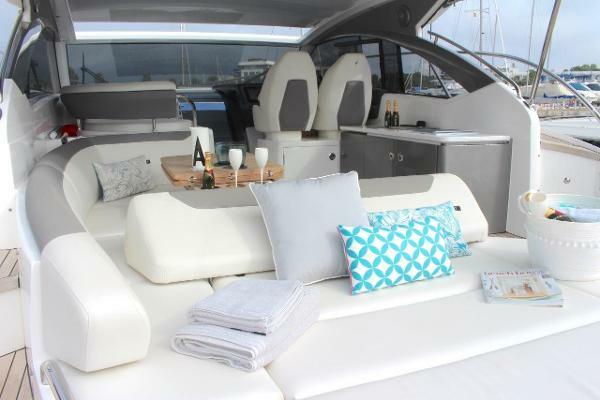 Below deck her spacious saloon and well equipped galley combine for a highly sociable entertaining space, while both cabins exude contemporary style and generous proportions. 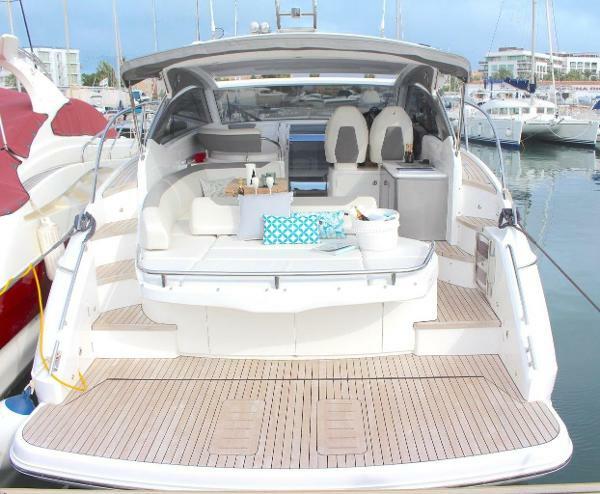 The forward cabin has an en-suite bathroom with secondary access to the saloon whilst the aft cabin is fitted with optional sliding berths to provide easy conversion to a double bed when required. Additionally the saloon table coverts easily into a third double bed, providing sleeping space throughout for 6. 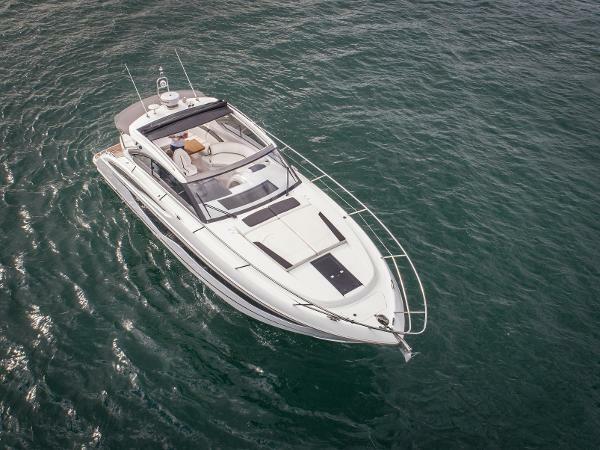 This 2017 Princess V40 has Joystick control and Volvo Penta D6-330HP engines with 124 hours. The current owner who purchased the boat new has kept her immaculate and we have all service history to hand. The boat is VAT (IVA) paid in Spain and is registered under a British flag. 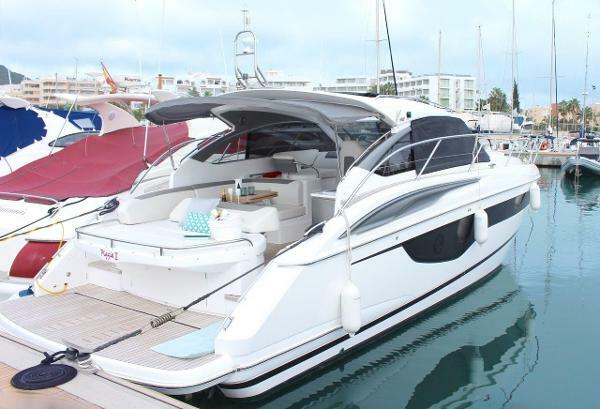 A 12m mooring in Marina Santa Eulalia is available on separate negation with the purchase of this boat. Please contact us for more details. A CLASSIC PRINCESS V40 FOR SALE FEATURING: Shaft driven twin Volvo Penta TAMD engines (370hp) • Low engine hours • Two cabins with accommodation for four guests • Bowthruster • Generator • Hydraulic Passarelle • Radar • Autopilot • Air-conditioning • Cockpit fridge • Cool box • Dinghy and outboard engine • New canopy covers • New antifoul and anodes • Well maintained. 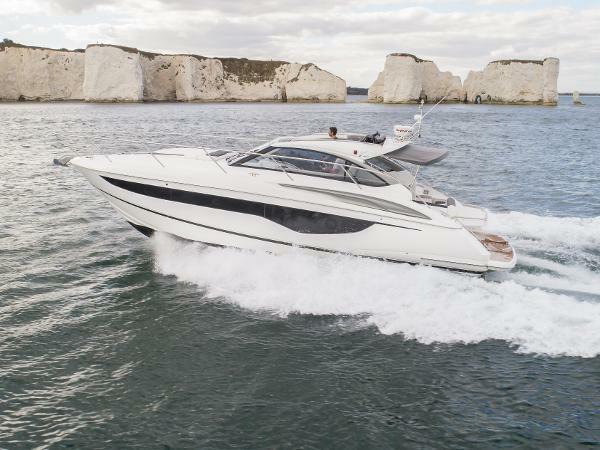 A comprehensive 10 year service history is available with the boat CONTACT US NOW FOR MORE INFORMATION ON THIS PRINCESS V40.